The Emil II is a Swedish tier 9 heavy tank. The Emil II leads to the Kranvagn. You probably want to research the gun first, it is much better regarding all the statistics and after that the engine and tracks. Fortunately the stock track can hold the fully pimped tank too. In 1952, the development of the next Swedish tank was well underway – despite the fact the work started as early as in 1951, it was only now when it really picked up the pace. In 1952, the project was reworked from a set of basic requirements and schematics into a functional design. More outlandish ideas were scrapped in favor of technologies, that had already been prototyped or tested and several new ideas were being tested as well. As an example, the suspension was changed to a hydraulic one, based on the Lvkv 42 prototype self-propelled anti-aircraft gun and work started on a prototype gun on the basis of the old 15cm Haub m/39 howitzer. The EMIL project started out in 1951 as more of a medium tank, but in 1952, the army, like other western nations, decided that they needed something to counter the Soviet IS-3 heavy tank and it was this line of thought, that would above all else shape the EMIL project after 1951. 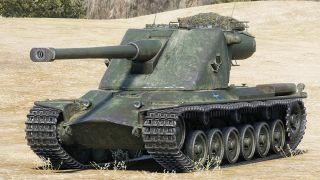 The main inspiration for the design seems to have been drawn, initially at least, from the French and German tank designs – more specifically from the new AMX 13, which had recently been tested in Sweden, as well as the German Panther. The influence of these tanks can be seen in the addition of a French style oscillating turret with an autoloader and the well-sloped frontal glacis. But in 1952, as the design was being reworked, it was decided to borrow the Soviet idea of the pike nose in order to increase the effective thickness even further. Although all were based around the same principles, there were several different variants of the EMIL, specificially there were three main ones. First was the E1, which was to correspond with the 1951 proposal, but with the new pike nose front and with an American tank engine instead of a Swedish one. The second design was called E2 and was a sort of a middle range model, which would be heavier than the E1, but also would be able to carry a 15cm smoothbore instead of the 12cm rifled gun, planned for the earlier models. The E2 was also able to sport a bigger engine and this design was considered as the most realistic one, since there was no guarantee that a bigger engine could be acquired. Last was the E3, which was the top range model with a weight of over 40 tons and an American 810hp engine, this was at the time seen as a bit too heavy and unrealistic, but as the engine became available, this design was chosen and two hulls were built in 1955. Some of the other variables that separated the designs included front and side armor for the hull and turret, engine output, main armament and suspension. 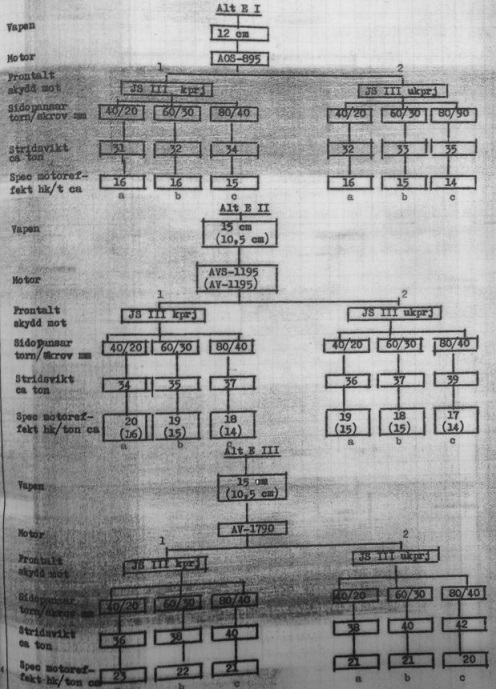 In the case of frontal armor, there was a choice of either having a 120mm hull and 140mm turret armor or 145mm hull and 170mm turret armor, these thicknesses were specifically chosen to be able to withstand a frontal hit from the IS-3 heavy tank with either (in the first case) regular AP ammo or (in the latter) subcaliber ammo. Side armor was divided into 3 options: first was a 20mm hull and 40mm turret, 2nd was a 30mm hull and 60mm turret and third was a 40mm hull and 80mm turret. The rest of the armor was common to all variants of the tank. This included the hull roof, driver’s port (middle front glacis) and floor. The rear armor was 30mm for all the variants except for the one with 40mm side armor, where the rear was also 40mm thick. One of the most important variables was the engine output. As mentioned before, the engines considered were American tank engines, mainly from Continental. These included the AOS-195 (500hp), AV-1195 (540hp), AVS-1195 (665-668hp) and AV-1790 (810hp) models. Initially, it was thought that the acquisition of the more powerful engines wouldn’t be possible and therefore initial projections favored a middle range tank model in both weight and armor, but as negotiations continued, an example of the 810hp was acquired and considered for licensed production at SFA (the Swedish aircraft engine company). This meant that there were no longer any problems with the engine output for the tank and that the development of the top range model could be pursued. However, as the development of the tank continued, it was decided to use a Swedish engine instead, as one of sufficient power had been developed at SFA. The new engine was very powerful at around 900hp, but the power required to run the cooling system meant that when it was finally tested on the prototypes in 1955, it could only deliver 723hp with the rest being used up by the cooling system itself. Even before 1951, studies had been made regarding the armament of what would become the EMIL project. These studies had concluded that the best armament for a future tank project would be a high caliber gun (12cm or higher) in order to effectively use HEAT shells. But these were no regular HEAT shells – in fact the Swedish idea was to mix the properties of APDS and HEAT to create a heat shell with a discarding sabot. This would allow the shell to travel much faster than a normal HEAT shell. Ultimately, the development of these munitions would prove impossible for Sweden and would be a major reason behind the cancellation of the project. The actual gun considered to use this kind of shell was at first a 12cm L/40 rifled gun and later a 15cm L/40 smoothbore gun. Besides the HEAT shells, these guns were to fire mainly HE, although there were plans for APDS ammunition as well. There were also plans for a 10,5cm gun in case the development of the previously mentioned guns would prove too complicated. One thing of note is that the 150mm gun is not viable for World of Tanks, as it is a smoothbore. Suspension was another thing that varied quite a bit between the different designs. We know that there were plans for up to 8 roadwheels per side, but the final prototypes ended up with 6 per side. I should state however that some changes were made to the EMIL project after the completion of the prototypes in 1955. The main change was to the turret armor which was changed from the planned 170/80/40 to 170/70/30 in order to stabilize the gun better, elevation also changed from +8/-12 to +10/-12. 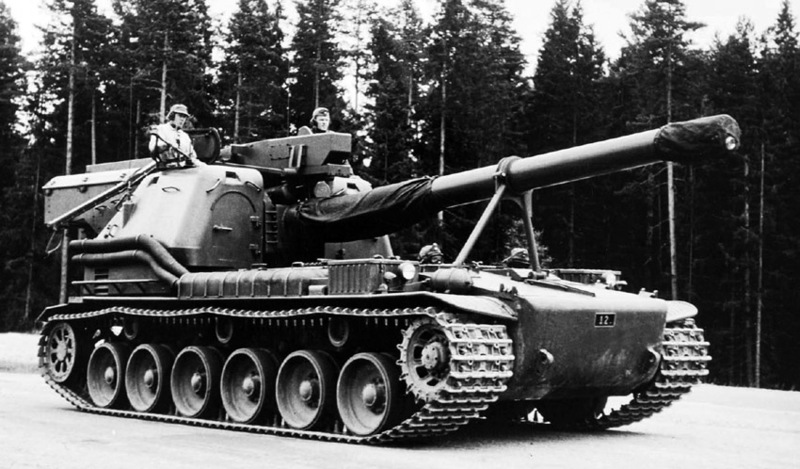 Other than that, there were plans to potentially mount a British or French gun on the vehicle in 1958 after the development of a suitable Swedish one had failed. So to summarize, the Emil was to be a heavily armored but mobile tank with a weight of under 50 tons and a 10,5-15cm gun, capable of dealing with the IS-3 at long range. So you might be thinking, why was it that this tank never entered production? Well, initially the idea was that this tank would replace the WW2 vintage Strv m/42, but the gap between the two tanks would mean that Sweden would be without a modern tank during most of the 1950′s, until a production version of the EMIL was ready. What happened instead was that Sweden purchased the British Centurion tank as a stopgap measure and with the development of the L7 gun in the late 50′, there was no longer a need for the EMIL project. However, some work continued on the prototype chassis which had been named “Kranvagn” (crane vehicle) to confuse any potential spy. There was also an idea to mount the Centurion Mk.10 turret on the Krv chassis in order to create a competitor to the Centurion Mk.10, but in the end, the Swedish army decided that it would be simpler if they just purchased the whole Centurion Mk.10 instead. However there were also plans to let a vehicle in this configuration serve as a prototype for future turreted tank concepts in Sweden, but nothing ever came of this. Instead, the remaining prototype had 4 of its roadwheels removed and was fitted with equipment for testing of the hydraulic suspension as well as a fixed 20pdr gun and was used as a test rig for the S-tank. This prototype chassis still exist in the Arsenalen museum, although it’s currently in storage and not on display. * The frontal hull armor is decreased from the historical proposal, from the historical 95mm of the upper glacis and the 145 mm of the lower glacis, to the in game 80mm of the upper glacis and the 115mm of the lower glacis. The side hull armor is increased from the historical 30mm to 60mm in game. 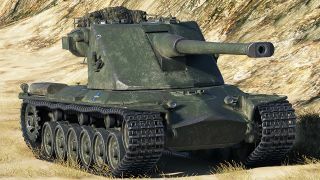 The turret frontal armor is increased from the historical proposal from 170 mm to the in game 215 mm. This page was last modified on 7 February 2019, at 03:25.